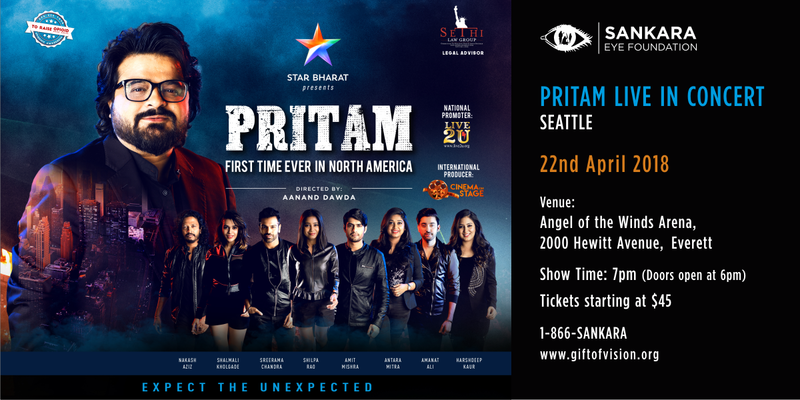 We're giving away 5 free tickets to 'Pritam Live in Concert' - With his Musical entourage on April 22nd at the Angel Of The Winds Arena brought to you by Sankara Eye Foundation - Seattle!!! ? All you gotta do to enter is like 'Simmi Real Estate' page on Facebook and enter your details here!! What are you waiting for? Results will be announced soon!! !